Watch out Facebook: a new-old social network is about to hit the scene, with the news that Bebo has been bought out by its original founders. Michael and Xochi Birch have done a Timberlake and decided to get back into the social network game, paying just $1 million (around £660,000 or AU$1.01m) for a site they originally sold to AOL for a whopping $850 million (that's about £560m / AU$930m). There is no word on how Bebo will be reinvented for a new generation, other than Michael Birch's tweet, where he revels in the fact he just purchased his own baby back for pocket change, noting: "We just bought Bebo back for $1m. Can we actually re-invent it? 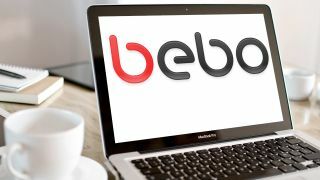 Who knows, but it will be fun trying..."
Launched in 2005, it only took Bebo two years to become the biggest social network in the UK, managing to find 10.7 million users, overtake MySpace's 10.1 million-strong user base and make Facebook look downright lonely with its paltry 7.6 million users. Considering Facebook has over 30 million UK users now, this was definitely a more innocent time for social networks. Then there was the big sell-off. The Birchs sold the site to AOL for close to a billion dollars in 2008, only for AOL to offload it for just $10 million to web company Criterion Capital Partners two years later. This tale of a social-network passing through many greasy hands is a well-worn one. MySpace went through a similar trajectory. It was bought by News Corporation in 2005 for $580 million, then sold to Timberlake and co for $35 million in 2011. Bebo will now be controlled by Monkey Inferno, a company that sounds a lot more exciting than it actually is. It's a start-up incubator, owned by the Birchs, that's been created solely for new businesses and is based in San Francisco. The folks behind Simian Incinerator (we much prefer our version of the name) now have the arduous task of getting Bebo fighting fit to take on the likes of Facebook, Snapchat, Instagram, Twitter, Google Plus, ask.fm... Good luck!